I am very much looking forward to performing at The Roundhouse in Camden Town. Having performed both at Somerset House and the Victoria & Albert Museum in recent years it is pleasing to keep developing my art form in such prestigious venues. I will be showing ‘Crystalized’ from 1-4pm on May 11th as part of The Accidental Festival. 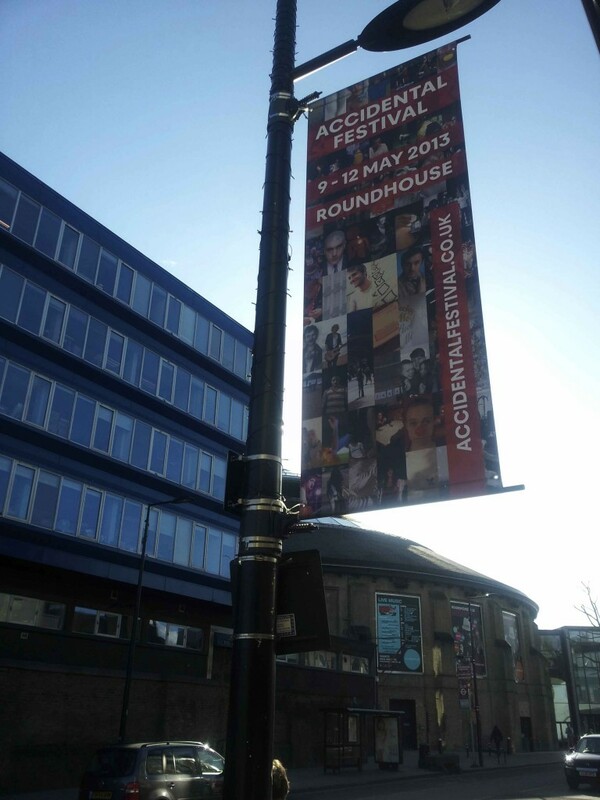 Here is a recent image of one of the banners displaying down the main high street promoting the event with the Roundhouse underneath. Can you spot a familiar face on the banner?